Eclipse Partitions® are the future of restroom partitions that offer both innovative design aesthetics and durable performance. The clean lines of this system provide a contemporary look to any bathroom décor. The minimum sight design delivers superior privacy above traditional partitions. Combining innovative aesthetics with durable performance, Scranton Eclipse Partitions’ minimum sight design offers enhanced privacy. 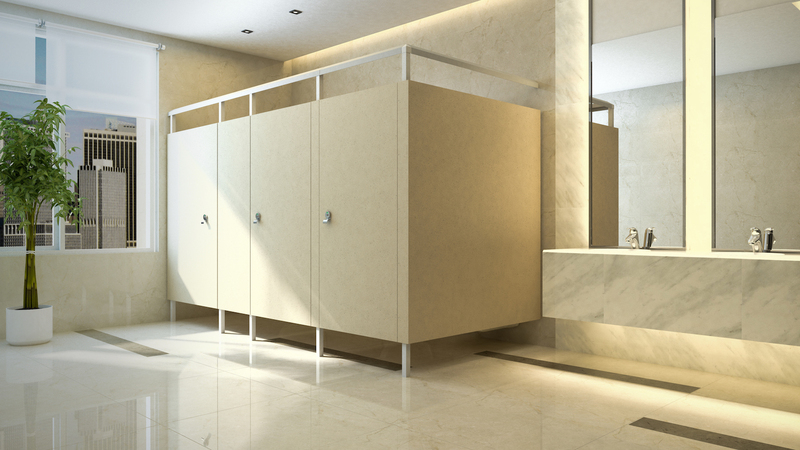 The contemporary look of these private bathroom partitions and extensive color and texture collections are sure to enhance your facility décor. Scranton Products’ Eclipse Partitions come in a variety of height options for you to choose the level of privacy you need, including the 55-inch Standard, the 62-inch High, and the 72-inch Extra High. The sleek hardware on the Eclipse toilet partition system is hidden, resulting in a designer look without any unsightly hinges interrupting from the smooth and solid appearance. Select from an array of colors and textures only found at Scranton Products. Reduces site lines for the enhanced privacy. No unsightly hardware visible on the outside of stalls. Metal posts replace traditional pilasters providing modern aesthetics. Doors and panels available in 55″, 62″ and 72″ height options for increased privacy options. 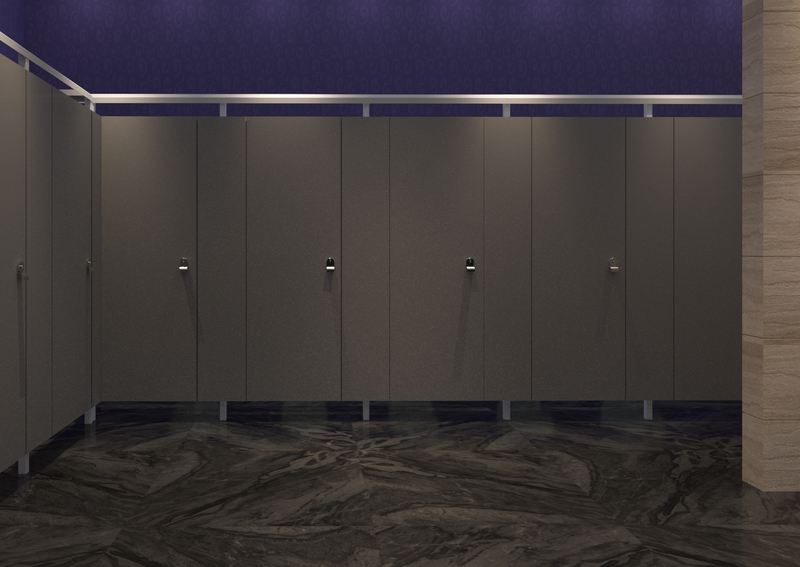 The sleek and sophisticated Scranton Eclipse Partitions® feature a minimum sight design, which carefully conceals the hinges and hardware on the inside of the stall to provide an uninterrupted view of the innovative aesthetics. 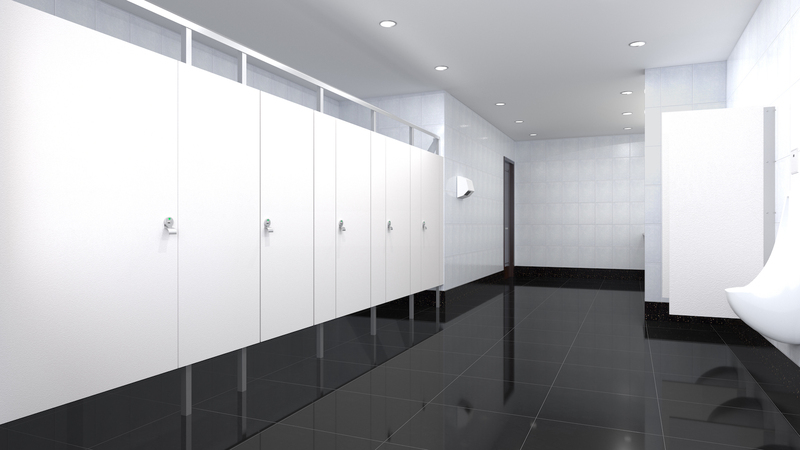 Not only do the concealed hinges add to the smooth appearance of the Eclipse bathroom stalls, but the hinges are easily adjustable and provide a smooth and easy close compared to other restroom partitions. Scranton Products’ Eclipse Partitions provide a great degree of privacy, as well as strong structural integrity and a up-scale aesthetic. The custom designed metal framing system adds ease to installation, while hiding the hardware from the stalls’ exteriors. These customer designed partitions are also available in more than 27 different color options and textures, so finding a match with your bathroom’s design shouldn’t be too difficult. Custom designed partition hardware combined with HDPE plastic partition panels provides outstanding durability. Eclipse Partitions are solid color throughout and will never require painting. Graffiti is easily wiped clean with a common, nonabrasive cleaner. Impermeable to moisture, Eclipse Partitions solid plastic’s non-porous surface does not support the growth of mold & mildew and will never rust. Superior impact and dent resistance to competitive materials. Made of recycled material & by not requiring to be repainted, you’ll help increase the air quality without the harmful emissions from chemical paint.